All we can say is ... WOW! 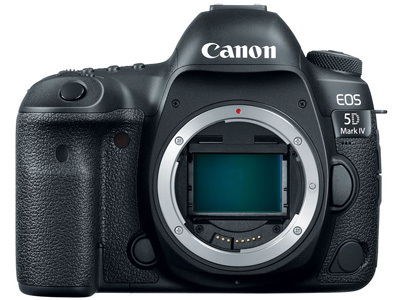 Continuing on in their legacy of powerful workhorse cameras, Canon has released the 5D Mark IV DSLR which is an outstanding still photography option and an able 4K-capable video machine. This multimedia maven offers a newly developed 30.4MP full-frame CMOS sensor paired with the DIGIC 6+ image processor in order to balance fine detail and resolution with low-light performance and sensitivity. It is able to work within a native range of ISO 100-32000, which can then be expanded to an impressive ISO 50-102400, for sharp, low-noise images in a variety of conditions. Along with these improvements to image quality, users will enjoy a performance boost across the board with an enhanced AF system, built-in Wi-Fi, NFC, and GPS, and much more. The body has been further refined for comfort and ease of access, as well as durability and weather resistance. The Canon N3 remote port has been relocated to the front of the camera body and they have added both GPS and Wi-Fi with NFC to make this model a connected camera. In line with previous members of the main 5D series, the Mark IV attempts to balance high resolution with low-light performance with a newly developed 30.4MP full-frame CMOS sensor. This provides a beneficial increase in overall resolution without compromising on sensitivity. The DIGIC 6+ image processor offers impressive performance within a native range of ISO 100-32000, which can be expanded to ISO 50-102400. Versatility is key with the 5D, as it needs to be able to tackle landscapes and weddings with equal ease. By using a 150,000-pixel RGB+IR metering sensor shooters will be able to more comfortably rely on the camera to capture difficult scenes. This sensor also has face detection as well as flicker detection which can ensure proper exposure in less-than-ideal lighting situations. Along with this, the camera offers an improved continuous shooting rate of 7 fps, making it a great option for events and action. Ensuring your subject is tack sharp, the 5D Mark IV incorporates an enhanced High Density Reticular AF system, which offers 61 phase-detect points, with all points sensitive to f/8 and 41 of which are cross-type. 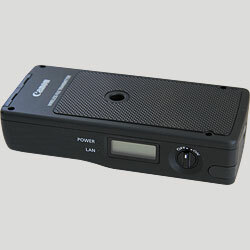 The center point can function down to -3 EV for working in extremely dim lighting. Compared to previous versions, this sensor has expanded vertical coverage of 24% on the peripherals and 8% in the centre in order to better track and locate subjects in the frame. In addition to advanced tracking and focusing while using the optical finder for stills, Live View and video can now use Dual Pixel CMOS AF on the actual imaging sensor. This offers about 80% coverage of phase-detection autofocus for faster and more accurate focusing in these modes. It is ideal for video as users will enjoy smoother rack focusing without the downsides normally encountered with contrast-based systems. Also, this works well with the touchscreen functions, allowing shooters to just tap to adjust focus. Designed for both professional stills shooting and video recording, the 5D Mark IV supports DCI 4K (4096 x 2160) resolution recording at up to 30 fps at 500 Mbps, along with Full HD 1080p shooting at 60 fps and HD 720p at 120 fps for slow motion playback. When recording in-camera, 4K video has 4:2:2 sampling and 8-bit colour depth, while Full HD 1080p footage has 4:2:0 sampling. Uncompressed Full HD 1080p video can also be saved via HDMI to an optional external recorder with 4:2:2 colour sampling. 4K video is recorded using a central 4096 x 2160 area of the sensor at a 1.74x crop in order to record video with an ideal 1:1 pixel sampling ratio, while Full HD recording makes use of the entire full frame. Audio can be recorded using the on-board stereo microphone or an optional external mic can also be used via the 3.5mm mic jack. Real time audio monitoring is possible, too, via the 3.5mm headphone jack. The 4K video recording also avails the ability to take 8.8MP still frame grabs during playback on the rear touchscreen and save them as single images. First implemented here on the 5D Mark IV, Dual Pixel RAW allows photographers to record all the information the sensor's unique pixel architecture can deliver, providing a way for fine adjustments to be made after the image is taken. These adjustments include focus fine tuning that can help you ever-so-slightly adjust the focus point to bring out extra details, shift bokeh around for improved composition, and reduce the impact of ghosting on your photos. 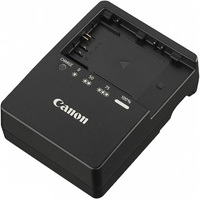 This requires the use of Canon's Digital Photo Professional 4.5 software. A large 3.2" 1.62m-dot Clear View II LCD monitor is available and features an anti-reflective design for bright, vivid image playback and live view shooting, and its touchscreen interface can be used for intuitive touch-to-focus control and adjusting settings in the menus. A dedicated AF mode selection button located beneath the rear joystick offers another avenue for accessing settings, allowing for fast, intuitive access to commonly changed options. Dual CompactFlash and SD memory card slots allow you to extend your file saving capabilities by permitting overflow recording or in-camera file type separation while shooting. An Intelligent Viewfinder II uses a pentaprism design and offers a bright means for viewing. When using the viewfinder, AF points are highlighted in red for greater visibility in low-light conditions, and the finder can also be configured to display a range of other shooting aids, such as an electronic level, grid, flicker detection, white balance, metering mode, AF information, and other settings. A Mirror Vibration Control System helps to minimise mechanical vibrations in order to better ensure sharpness during long exposures or fast continuous shooting bursts. A robust magnesium alloy body design is both dust- and weather-sealed to permit working in harsh environments. Digital Lens Optimizer technology compensates for a range of optical defects from various lenses, including chromatic aberration, distortion, peripheral brightness, and diffraction, and the camera can store lens data in order to avoid having to re-register lenses prior to each use. The camera can handle this process in real time, delivering JPEGs with the corrections already applied. A built-in intervalometer permits the creation of time lapse imagery and supports recording 1-99 consecutive frames in pre-selected intervals from 1 second to 99 hours 59 minutes and 59 seconds. Users can also choose to set the camera to unlimited frames.